Episode 77, Skyfall, is rendered in haiku. Xoe shares her essay What Happened on My Unsummer Vacation. Explore the sinkholes of Lungfish Isle and the fowl who inhabit them in Xeno Clucks Up. What Lunges From the Shadows of Ravenloft? Warmachine/Hordes tournament – 35pt Warmachine/Hordes tournament, two lists required. Character restriction applies. No reinforcements or specialists will be used. The top 3 players will win Steamroller coins, and anyone who plays at least one fully painted list will be entered into a drawing for a special prize. Registration begins at 10am, and the tournament starts at 11am sharp. Prize support provided by Triple Play Games. RPG “Extinction” – Call of Cthulhu – 9AM to 5PM – 6 Players – GM James Davenport -”You fight back nausea as you push yourself slowly up to your knees. What happened? Just as you were achieving a victory against horror you are pulled…ripped…to here… The hairs on the back of your neck bristle with danger. This place. It’s not like anyplace on earth. Or is it?”Extinction is a Call of Cthulhu adventure designed with a continuing “revolving door” concept in which players can play for however long they choose, drop out, and even return later to an open seat. The entire game will run for 8 hours (with breaks). No experience is necessary. Summary game information and characters will be provided. Recommended for mature role-players. Netrunner tournament – 1:00PM – Event format: Aiming at a swiss 3 rounds with a final showdown between the top 2. Will adjust according to the number of participants, if needed.FFG tournament rules 1.1 will be applied. Deck format: multiple core sets and all datapacks up to “A study in static” will be allowed. April’s datapack “Humanity’s shadow” will be allowed only if released earlier than April 20th giving at least a complete week for the players to adjust their decks. Cost: free, but must have paid the convention registration fees. Prizes: A total of $50 in gift certificates to winner’s choice of our main FLGS: Triple Play, Book Garden or Quarterstaff… $25 for the winner and a random $25 between the participants that cannot be won by the winner. Additionally, there is the silent auction as previously reported, with donated board games and a special, one of a kind Doctor Who bag crafted by Green Mountain Gamers’ own Bethany Creaser. A preview picture of the bag — lining to be added — has gone up on the Mega Spring Meltdown Facebook event page, so go head over there to check that out and RSVP to the big day. Mega Spring Meltdown runs from 10:00am to midnight on Saturday, April 27th at the Lake Morey Resort in Fairlee, Vermont. Tickets are $10.50 in advance via Paypal and $15 at the door. Read more about the day’s doings at the Green Mountain Gamers web site. Wil Wheaton, host and producer of the web series TableTop — wherein Wil and friends demonstrate tabletop games in an amusing fashion — recently announced International TableTop Day, dedicating March 30th as a day for people to play more games. Felicia Day explains in a short video. TableTop Day events are cropping up across Vermont, in public places and private homes. As Geek Mountain State gets word of public events, we’ll add them here. Want to share your TableTop event? Leave a comment below. Calling all RPG GM’s! At Spring Meltdown, we have four 6-foot round tables that can be reserved for roleplaying games. If you wish to run an RPG, please let us know what time periods you want to reserve the tables for (i.e 9AM to 1PM). And, give us the details of the game so we can add the info to our Spring Meltdown page to help promote it. If you’ve got a role-playing adventure to run, reach out to Green Mountain Gamers via their contact page. Mega Spring Meltdown is just under two months away! Green Mountain Gamers host their annual winter game day, Winter Weirdness, in the undercroft of the Church of the Good Shepherd in Barre, Vermont on January 12th. Green Mountain Gamer events are day-long free-for-alls where players bring their favorite games to share and enjoy. If you’re an old hand, you know what to do. If you’re new, you can browse the offerings until you find something that appeals or ask to join a game on the cusp of commencing. Most players are happy to bring in someone new. In addition to the gaming fun, Green Mountain Gamers will hold three raffles through the course of the day to benefit the local food shelf. Non-perishable goods get you entries into the raffle, where the winner receives a gift certificate to the friendly local game store of their choice. If we reach $2000, and every $500 after that, an additional Creature Sheet will be created and given to all backers in the form of a PDF. Additional creature sheets will emerge if we keep climbing! 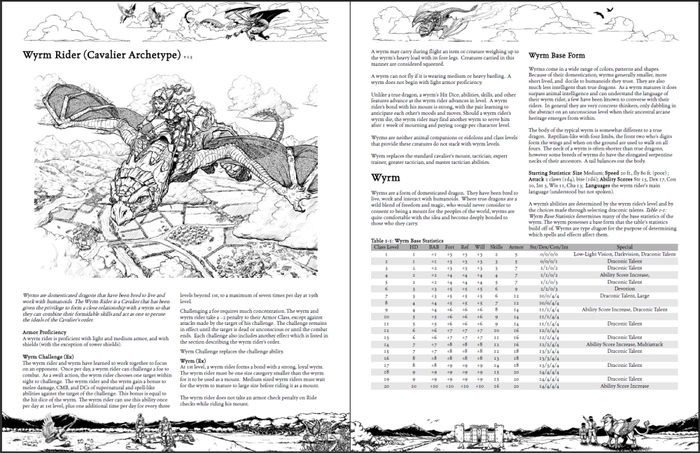 Companions of the Firmament is a rules supplement for the Pathfinder role-playing game, bringing flying characters and mounts and expanded rules for aerial combat to the fantasy system. Geek Industrial Complex, owned by Neil Carr, is based in Barre, Vermont. Companions of the Firmament – Kickstarter: Funded! Good news, everybody! The Companions of Firmament Kickstarter that we talked about the other day reached its funding goal of $1000 within two days! Currently, it’s up to $1,006, with 33 days to go in the campaign. Neil writes that stretch goals are forthcoming in the next couple days. Let’s see how much more we can push to the campaign. Pledge here!